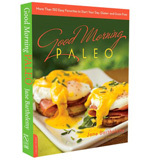 Hello, I’m Jane, gluten-free, Paleo chef, author, health practitioner and guide in your journey to health and vitality. My view of Paleo is to nourish true wellness and balance, free of indigestion, weight gain, cravings, and moods. Here I share transformational lifestyle tips, new techniques, and luscious, original recipes for a new, vital way of living. Yay! You can do this!